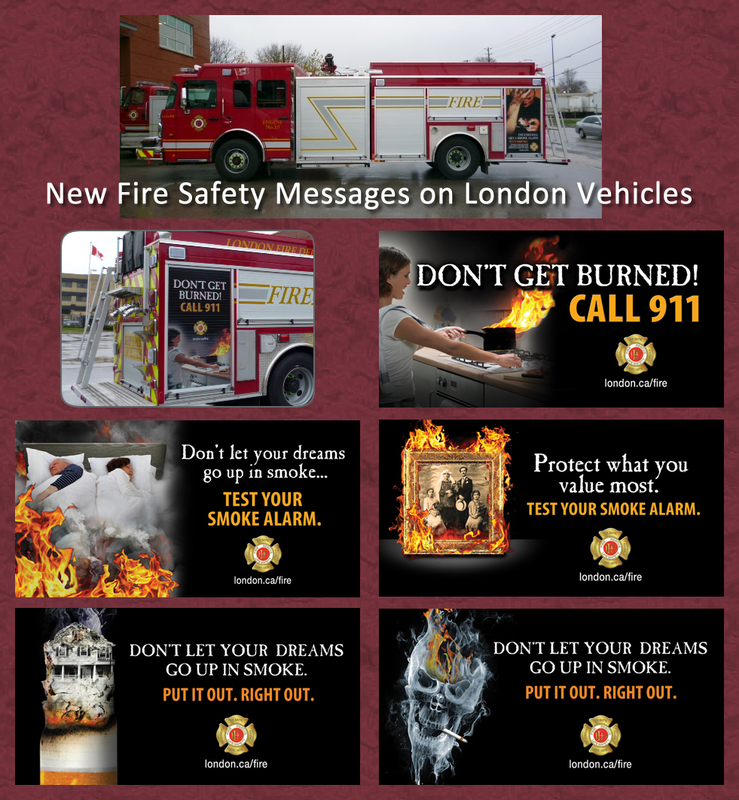 The London fire department is seizing another opportunity to get its safety messages out. New and effective graphic messages are being used through media advertising such as local TV, billboards and bus shelters and bus interiors. Those same messages are about to appear on the newest front line fire vehicles. In effect the large vehicles will become rolling billboards, reminding citizens about the importance of working smoke alarms and the dangers of unattended cooking and careless smoking. Fire crews already make significant efforts to interact with the public, spreading the word about fire prevention and safety. Now their trucks will help them to drive those messages home.